Our Fundraising Committee are proud to present an afternoon of musical entertainment featuring Peter Christie. 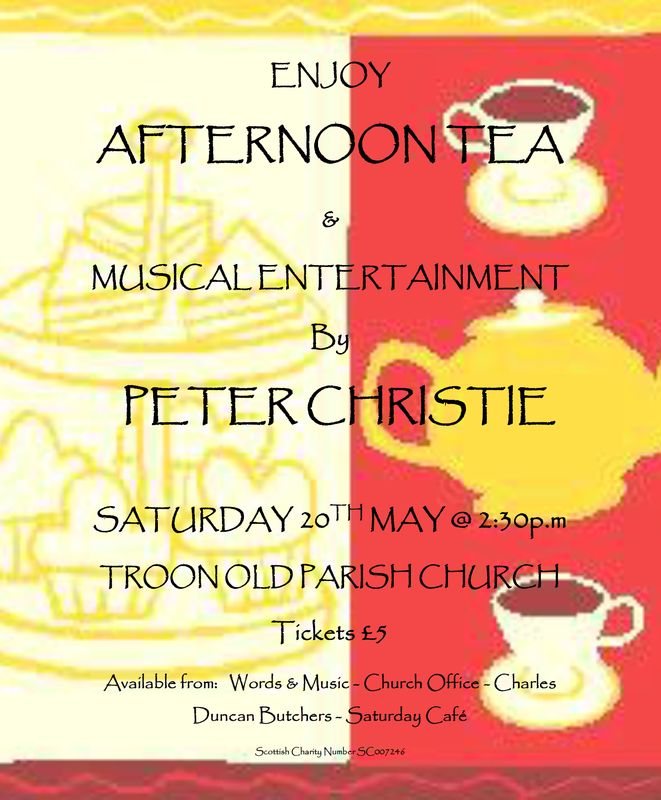 Peter is a popular performer at Troon Old and this is a great opportunity to hear him. Tickets priced £5 include afternoon tea and are available from Words & Music, Charles Duncan Butchers, the Church Office and the Saturday Café.